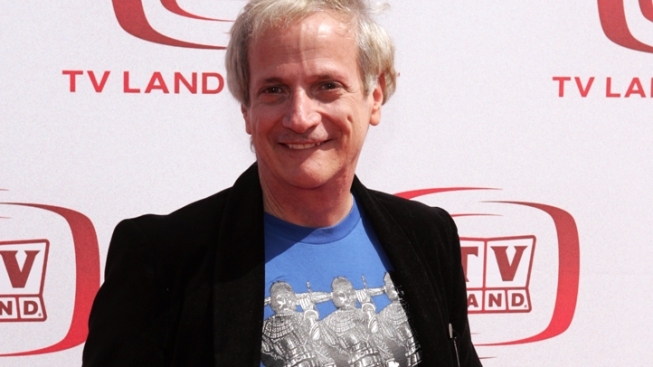 Ron Palillo died of a heart attack, his agent told NBC News. Ron Palillo, best known for playing Arnold Horshack on the 1970s TV show “Welcome Back, Kotter,” died early Tuesday morning at his home in Palm Beach, Fla. He was 63. Palillo's agent confirmed his death to NBC News. Palillo had a heart attack and died in his sleep, agent Jacqueline Stander said. "Welcome Back, Kotter" ran for four seasons on ABC, from 1975 to 1979, and also starred Gabe Kaplan (as Mr. Kotter), John Travolta, and Robert Hegyes. The young Travolta, who played "sweathog" Vinnie Barbarino, gained acclaim during the show's run, and went on to star in "Saturday Night Fever," in 1977. Robert Hegyes (pronounced Hedges) played Juan Epstein, a Puerto Rican-Jewish character who would always try to skip class with a note signed "Epstein's Mother." Hegyes died in January of this year. Palillo also made guest appearances on such TV shows as "The Love Boat," "The A-Team," "CHIPs," and "Murder She Wrote." Palillo was born on April 2, 1949, in Cheshire, Conn. He attended the University of Connecticut, after which he lived in New York City for about four decades, until his recent move to Palm Beach County, in 2009, according to The Palm Beach Post. In 2009 he hold The Post that he loved Palm Beach County, where he served as artistic director for the Cuillo Centre for the Arts, for which he directed and acted in "A Closer Walk with Patsy Cline" and "The Phantom of the Opera." Palillo had been teaching acting classes at G-Star School of the Arts, a charter school in Palm Springs, Fla., for about three years, according to The Palm Beach Post. Palillo is survived by his partner of 41 years, Joseph Gramm, a retired actor.